Northwestern’s Jewish Theatre Ensemble is presenting "Next To Normal" in the Louis Room of Norris University Center. JTE was founded in 1995. 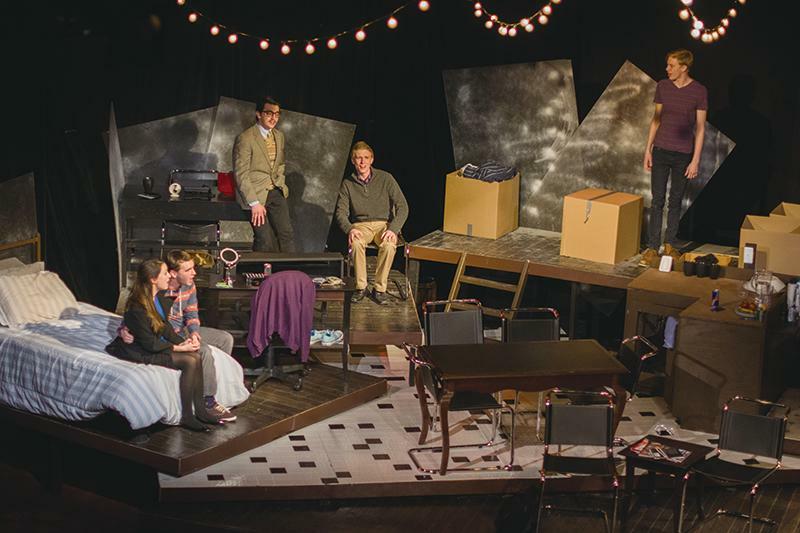 The Jewish Theatre Ensemble’s current production of “Next to Normal” is partnering with Sustained Dialogue to promote campus conversation on mental health and illnesses. The show, which opened Feb. 6, documents a family’s struggle after a tragedy brings up issues including drug addiction, mental disorders and suicide. Co-producer Lucy Ahlborn said the show would give the cast and audience an opportunity to address important, relevant issues. Ahlborn said the partnership between the Jewish Theatre Ensemble and Sustained Dialogue was created after members of the production team reached out in an effort to further mental health discussions. The producers said they want to use the show’s plot as a platform to talk about these issues in an open forum. The discussion, which will take place before the 6:30 p.m. show Friday, will draw on a set of real-life scenarios and ask students how they would respond to them in order to help prepare them if these situations occurred. Ahlborn said the group tried to make these scenarios as broad as possible in order to ensure they could apply to every student. Moderators involved in Sustained Dialogue will lead the talks, and attendees will split into smaller discussion groups in order to create a more comfortable environment. Co-producer Jacob Trauberman said once the play was chosen, they immediately thought this would be a great opportunity to facilitate this discussion at NU and were proactive in its planning. The dialogues will also address recent tragedies that have occurred on campus and attempt to foster a sense of community that is less prejudiced toward mental health and illness. When deciding what show to produce, director Brendan Flynn said he suggested “Next to Normal” because he wanted a musical “actors could sink their teeth into,” and this show was widely known within the community. The cast of the show, which was chosen at the beginning of the school year, has been working intensively on the production for the past five weeks, Flynn said. Although the onstage cast only involves six members, the show also includes a much larger crew involved in costumes, set design and other parts of the production, Flynn said. The cast will perform four more times this weekend, with two shows on both Friday and Saturday. Flynn said he is looking forward to the opening weekend and thinks the show will draw students from within and outside the theatre community. Editor’s note: This article has been updated in order to not reveal the ending of the play.